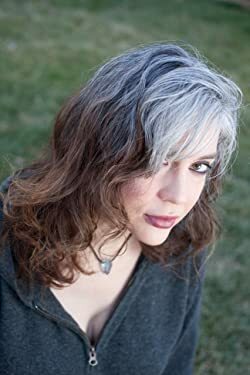 Shana Abé is the New York Times, Wall Street Journal, and USA Today Bestselling Author of The Drákon Series, The Sweetest Dark Series, and lots of other books. She loves writing, animal rescue, and truly excellent ice cream. She lives in Colorado but does not ski, which is sad. Here’s Shana Abé website. CLICK HERE FOR MORE STORIES BY SHANA ABE. DrÁkon — (2005-2010) Publisher: For centuries they’ve lived in secret among northern England’s green and misted hills. Creatures of extraordinary beauty, power, and sensuality, they possess the ability to shape-shift from human to dragon and back again. Now their secret–and their survival–is threatened by a temptation that will break every boundary… Dubbed the Smoke Thief, a daring jewel thief is confounding the London police. His wealthy victims claim the master burglar can walk through walls and vanish into thin air. 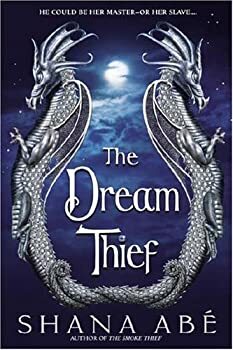 But Christoff, the charismatic Marquess of Langford, knows the truth: the thief is no ordinary human but a “runner” who’s fled Darkfrith without permission. As Alpha leader of the dra´kon, it’s Kit’s duty to capture the fugitive before the secrets of the tribe are revealed to mortals. But not even Kit suspects that the Smoke Thief could be a woman. Clarissa Rue Hawthorne knew her dangerous exploits would attract the attention of the dra´kon. But she didn’t expect Christoff himself to come to London, dangling the tribe’s most valuable jewel–the Langford Diamond–as bait. For as long as she could remember, Rue had lived the life of a halfling–half dra´kon, half mortal–and an outcast in both worlds. She’d always loved the handsome and willful Kit from the only place it was safe: from afar. But now she was no longer the shy, timid girl she’d once been. She was the first woman capable of making the Turn in four generations. So why did she still feel the same dizzying sense of vulnerability whenever he was near? From the moment he saw her, Kit knew that the alluring and powerful beauty was every bit his Alpha equal and destined to be his bride. And by the harsh laws of the dra´kon, Rue knew that she was the property of the marquess. But they will risk banishment and worse for a chance at something greater. For now Rue is his prisoner, the diamond has disappeared, and she’s made the kind of dangerous proposition a man like Kit cannot resist… In this bewitching novel, Shana Abé transports us into a world of exhilarating romance and magic. Sometimes I don't get myself. 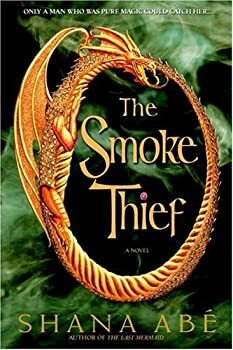 It's been years since I've enjoyed an actual romance novel and to be perfectly frank, I wasn't expecting to enjoy The Smoke Thief. Joke's on me there, I guess. Shana Abe's writing is so light and airy that reading it is, if you'll excuse the pun, a breeze. It just floats by without effort, easy and evocative (and occasionally slightly purple, especially during love scenes, but no one is perfect and I don't expect them to be). It's easy to sink into, to just let the book sweep you away, and that makes it all the easier to enjoy. So here we are in the third book. 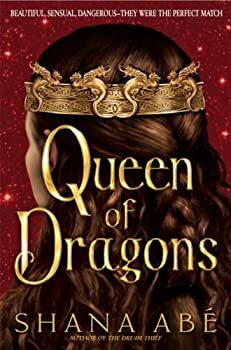 The plot has something to do with the mysterious Drakon princess, Maricara, who was introduced in The Dream Thief and Kimba the White Lion — I mean, Kimber, the son of Kit and Rue from The Smoke Thief. There's something to do with someone murdering Drakon, I think, but frankly I didn't make it far enough to find out. Which is kind of sad, actually, because if the reader isn't sure of what's going on by page 70 or so, you're doing it wrong.